Have you been to Mango Bean Stafford yet?? Did you know that all students get a 10% discount on production of a valid student card? Or that if you work in the town centre you can get a fabulous 20% discount?! Pop in on your way to or from work (wearing your uniform!) to receive your discount. They also have the loveliest looking waffles! Male Grooming Package* now available at Supercuts. Please call in to the salon for further details or for your free hair service consultation today. 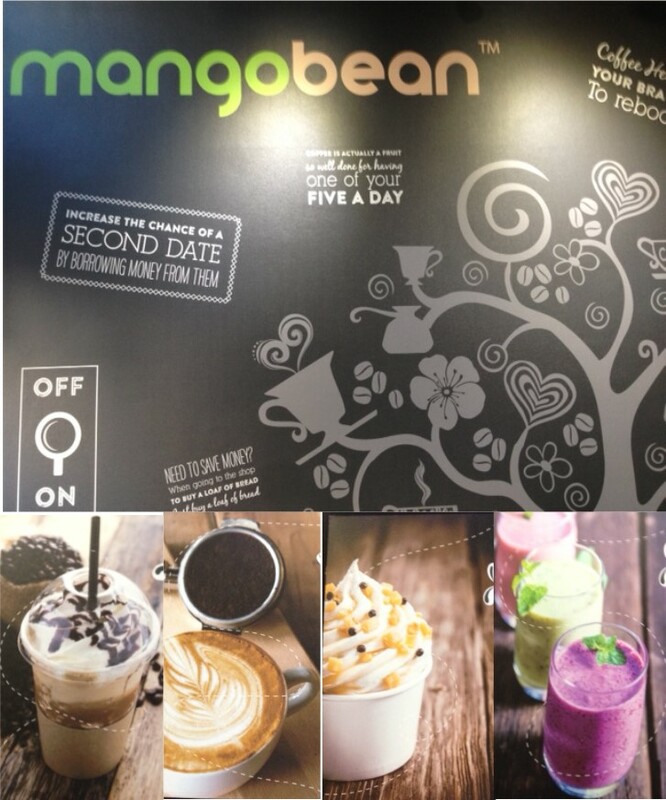 2 for 1 on all drinks at Mango Bean! Every day is HAPPY DAY at Mango Bean in the Guildhall Shopping Centre where you can buy any drink and get another absolutely FREE. Call in with your mates at any time, any day and you will get two drinks for the price of one! As well as a full range of coffees, frappes and smoothies, Mango Bean offer a range of fabulous "cocktails" Why not try "The Hulk" - it sounds awesome and it tastes delicious! A fantastic pick me up, no matter what time of the day! A smoothie fit for superheroes that combines Curly Kale, Lemongrass, Banana and Mango with a splash of Apple Juice thrown in for good measure! Or try a great tasting veggie smoothie with a crazy combination that's both delicious and nutritious combining beetroot, ginger and pineapple. "Tropical Thunder" is a delightful mix of carrot, goji berry juice, pineapple and papaya - a wonderfully delicious tropical smoothie! Don't miss out on some awesome daily deals too - get triple stamps on a Monday, on a Thursday you can have a free refill on one of their signature coffee cocktails and on a Wednesday you can choose any waffle for just £3. ... and don't forget, if you are a Public Sector worker or work for the NHS, you can claim an extra 10% discount on hot drinks throughout the year! Looking for a perfect gift? Why not choose a Roman Originals Giftcard? Load it with any value from £1 to £300 and then use it to buy any of the beautiful new stock now arriving in store. The cards are valid for 12 months from the date it is purchased and can be used any any Roman Originals store.